Who says you can't hang out in style? You can with these dangling beauties. Subtle and cute, these earrings are great for casual days. Wear a bit of black and red to lift up your mood. Go out with confidence with these cute earrings. These drop earrings are perfect for a hot day on the beach. Make a toast with these sweet champagne earrings. Celebrate the night with these sparkling wine earrings. Crafted with: wine venetian foil glass beads and shimmery ball beads. Great for an elegant night out. Match these with the Black Widow Luscious Collection Necklace. Crafted with: black briolette chinese crystals. Great for a classy night out. Match these with the Lady-in-Red Luscious Collection Necklace. Add a splash of red to your outfit with these dangling clustered earrings. These topaz drop earrings can be worn dress up or dress down. Make a statement with these big, catchy, casual earrings. Crafted with: 50mm round brown shells. Smaller and grey version of the Brown Moon. Feeling romantic? 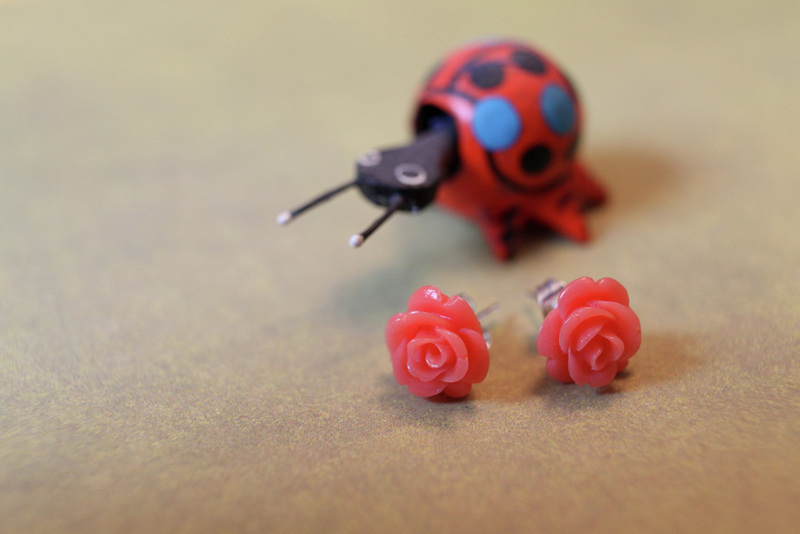 Express your emotions with these resin pink rose studs. Matching ring available. Feeling romantic? Express your emotions with these resin purple rose studs. Matching ring available. Love is in the air with these pretty red resin dahlia studs. Matching ring available. Feeling romantic? 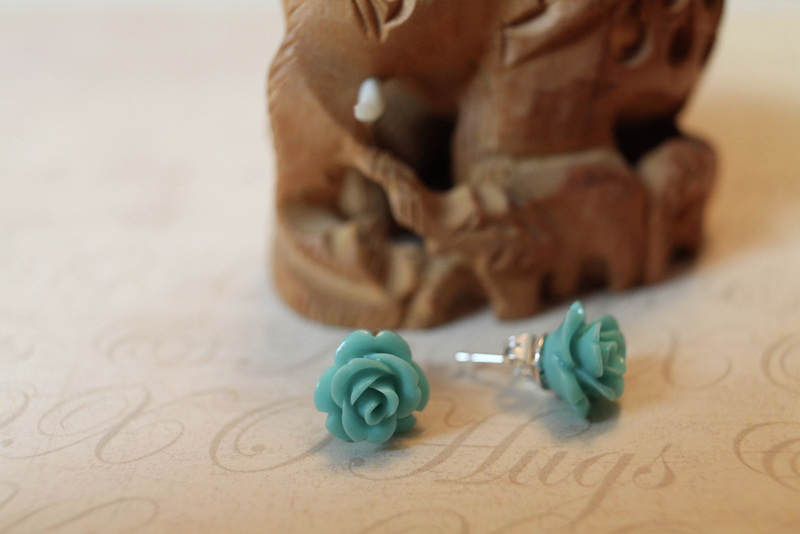 Express your emotions with these turquoise resin rose studs. Feeling romantic? Express your emotions with these peach resin rose studs. Matching ring available. Remembering when love was once innocent and pure. Matching Flower Funk ring available. These pearl earrings are so elegant and perfect for pearl lovers. Matching necklace and bracelet available. These pearl earrings are a treat for pearl lovers. And they are a perfect match for the Venus Variation bracelet and the Venus Luscious necklace. Pretty and lovely, these earrings are perfect to make your day peachy. They match the Venus Variation bracelet and the Venus Luscious necklace. These leaf-patterned earrings are stylish with a splash of red. Big and chunky, these earrings will showcase your bold personality. These grape earrings are perfect for a romantic date. These grape earrings are perfect for any event. These grape earrings are perfect for any occassion. Go out and make a statement with Dotty. Crafted with: dark grey jasper stones, filigree and metal beads. These dangling chic swirly earrings will make heads turn. Crafted with: 1" metal beads and amber teardrop chinese crystals.